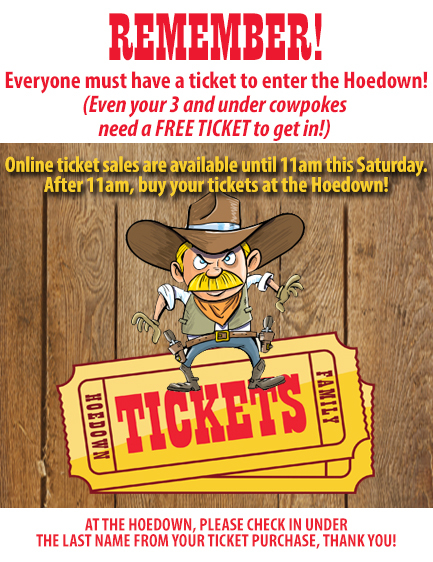 See you at the Hoedown! You can still buy your tickets online until 11am Saturday morning. After 11am, buy your tickets at the event! Copyright © 2003-2019 Compass and BiddingForGood, Inc. All Rights Reserved. Designated trademarks and brands are the property of their respective owners.